In pursuit of a dream, have you ever struggled to quiet the disquieting? Worries rise and can deafen precisely when you lean in to listen to your heart. Below is a paragraph from “Author’s Notes” in Giving Back about tuning out the noise to write my book. At times, doubts would swarm with stinging questions about whether the vision was attainable. I questioned whether I was up to the sacrifices and risks that seeing it through seemed to require of me. People I spoke with believed in the project; they saw the significance of documenting our stories and producing a socially relevant book. This helped fend off some of my fears. Even with dispiriting episodes, I could never suppress for long the call of these stories. 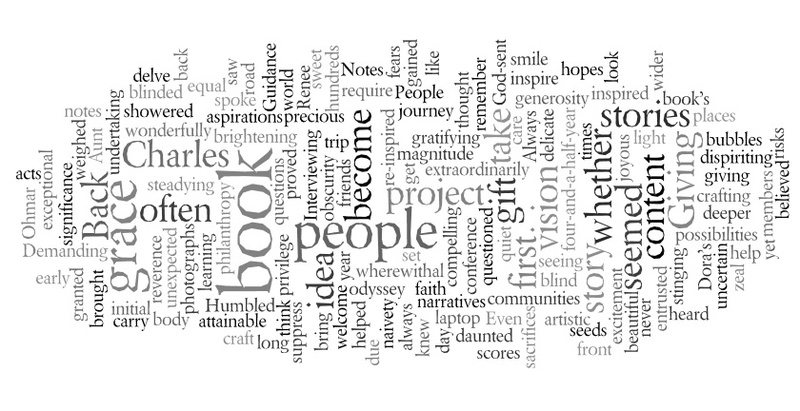 This entry was posted in Book, word cloud and tagged Book Writing, calling, Dreams, fear, passion, purpose, word cloud, Wordle, worries, writing by valaida. Bookmark the permalink.